Come and celebrate summer as the Harrow Town Summer Festival transports you to a seaside resort on St Ann's Road. Complete with local performers, candy floss and "Punch and Judy" this is the perfect event for all the family. Radio Harrow will be at the annual Pinner Village Show hosted by the Pinner Rotary Club. With over 50 stalls and a variety of entertainers and refreshments it's the perfect day out for all the family. Join us on Friday 25th September as we will host a special Macmillan Coffee Morning Show live from the Macmillan Cancer Support offices on the 4th Floor of Northwick Park Hospital. Harrow Town Centre is hosting a Christmas Party to celebrate the Christmas lights switch-on, with lots of festive activities, live performances and fireworks. 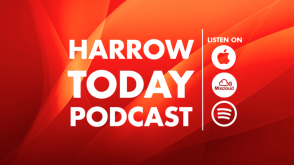 The greatly anticipated Harrow village show will make this August Bank Holiday Monday fantastic, particularly as Radio Harrow will be on site, live, with plenty of great tracks and chat! Why not come and join us from 12pm on Monday 28th August in the grounds of the Headstone Manor & Museum? We’ll be joined by Harrow in Leaf and plenty of arts and crafts stalls. Radio Harrow has the privilege of broadcasting live from the event, which starts at 11am on 16th September. The Bubble Rush is a 5k fundraising event for St Luke’s Hospice, complete with strategically stationed bubble-blasters! Radio Harrow are proud to announce the 2018 Winter Warmer, which will take place on 24th February at 7pm in the Sports & Social Club, Northwick Park Hospital. Anyone can come for a drink and to hear live music from The Volunteers! 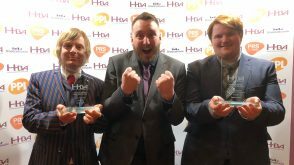 Radio Harrow are providing the outside broadcasting at Headstone Manor (Pinner View, HA2 6PX) an afternoon of fun, between 12:00 and 17:00 on Bank Holiday Monday, 7th May. 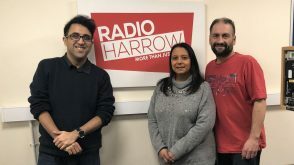 Radio Harrow will provide the outside broadcasting on behalf of Saint Luke's Hospice, serving the communities of Harrow and in the north of Brent. Radio Harrow will be live at Pinner Cricket Club making the announcements at its family fun day!